Follow these 10 tips and your loved ones big day will run smooth! Whether you’re planning a bar mitzvah for your son or a bat mitzvah for your daughter, it’s a huge coming-of-age event and a milestone day for your whole family. Here are ten steps to a successful bar or bat mitzvah. Set your celebration date as far ahead as you can to give you the luxury of calm, considered planning and your child time to prepare; a year in advance is ideal. Before you set a date in stone, do a bit of double-checking. Are there any possible clashes with other events that need to be avoided? Birthdays, anniversaries, school holidays; even major sporting events can create an uncomfortable situation for sports fanatics torn between the big game and your equally important event. So do the research and avoid the regrets. Remember this is essentially your child’s event so involve him or her in the answer to the all important question: Who do we invite? 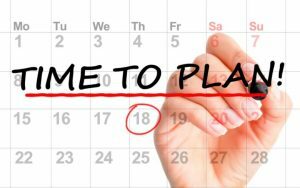 A good plan is to write everyone you can think of down first; start big and then trim according to venue capacity and guest significance until you have your ideal guest list and a reserves list of people you can add again later if necessary. Begin your list with all the obvious ones – immediate family, immediate friends and your child’s friends. Then spread the net wider and write down the next tier of friends and relatives and the next and the next. Consider all the out-of-towners and anyone you’d like to fly in from overseas if they can. The earlier you send your invitations, the more time they have to arrange flights and holidays. If they can’t make it, you still have time to invite people from your reserves list to keep numbers up to venue capacity. 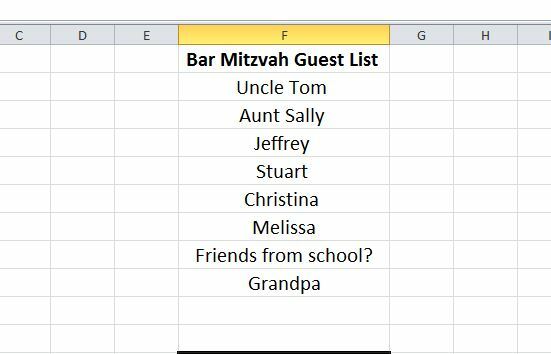 Don’t forget that at any bar mitzvah or bat mitzvah the ceremony is the part that matters most, so don’t stress if you can’t afford a huge, lavish celebration. Work out your budget early based on your guest list, venue costs, catering costs, entertainment and any decorations you plan to adorn the venue with. 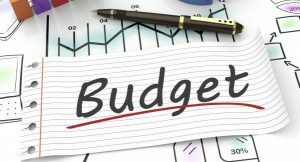 The earlier you plan everything, the less your budget will balloon out with rushed decisions. 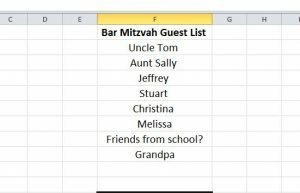 Does the venue size determine the guest list or does the guest list determine the venue size? Ideally you should choose your venue after you have a rough idea who is coming as you won’t waste time researching places too big or too small for your needs. The dynamics of your guest list will also influence the type of venue you choose. 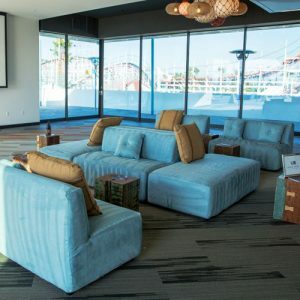 If there are a lot of kids as well as a healthy group of adults, two adjoining rooms might be a good idea – one for general entertainment and ceremony, the other a nice area for the adults to retreat for a drink. Make a shortlist of your venue ‘must haves’ – good parking; clean, well maintained facilities; adequate restrooms for the numbers; access to audio visual equipment: staging equipment; liquor license; and last but not least, reasonable proximity to the majority of your guests. Obviously this directly affects your guest list. You need to decide whether you want your bat mitzvah or bar mitzvah to be solely for people from within the faith or for all friends and family whatever their beliefs. It’s a big decision on a variety of levels and the answer will directly affect your celebration numbers and, most importantly, the catering. Whether you decide to go with kosher or a mix of kosher and non-kosher food, the next step is to organize the catering. If budget dictates that all your food has to be prepared and cooked by members of the family, work your team out early so everyone knows what they have to do and when. If, on the other hand, you wish to enlist the services of a specialist caterer, choose a company who can offer a package rate for everything – hors d’oeuvres, mains, desserts, kids’ drinks and adults’ drinks – as this generally works out to be cheaper. Make sure they offer taste tests of your entire menu and that they can provide adequate serving and cleanup staff on the day of the celebration. The dynamic of an afternoon event is very different to an evening event. If there are a lot of young kids, an afternoon celebration allows parents to get them home and settled early. An afternoon event might also alter the nature of your food and refreshments, even your entertainment. If you’re planning an evening event, check with the venue in case they have any strict closing time policy. The answer to that is most likely speeches, but who speaks and when? It might be nice for every relative in the room to honour your son or daughter with kind words but it can also get very tiresome and drag out the day. Decide who speaks well in advance and make sure everyone prepares well and has a time limit. The answer to that is also a resounding, ‘fun!’ Don’t get so swept up in all the preparation that you forget to enjoy the day. Make sure it’s a happy one full of wonderful memories. You like the venue but they only have limited seating – far less than you need – or you simply don’t like their existing furniture. No problem, you can hire everything from chairs and sofas to benches and tables; even bars, tents and lighting. Companies such as Lounge Appeal can prepare a completely furnished or partly furnished room based on your celebration and ceremony needs; they can even theme it in whatever way you choose – contemporary, traditional, royal or retro. If you’d like to discuss your furniture needs with a Lounge Appeal expert, leave your details on our contact page and we’ll get in touch shortly.